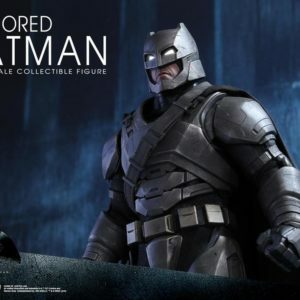 “Tell me, do you bleed? 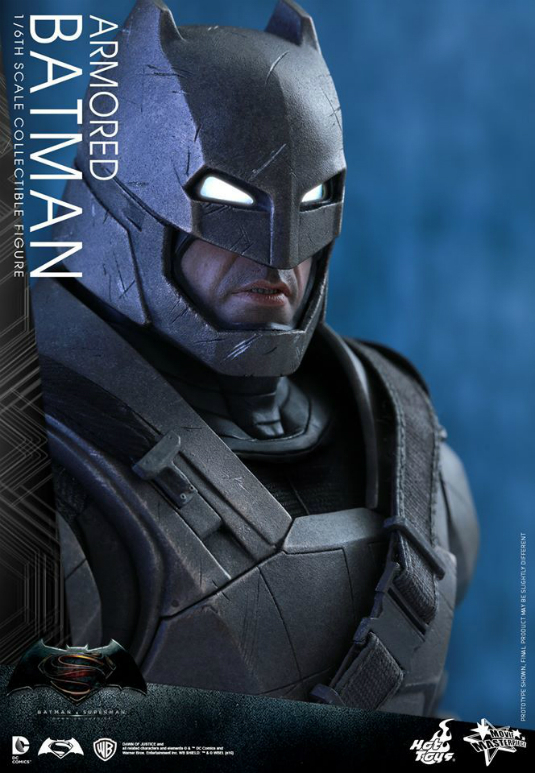 You will.”The epic confrontation between Batman and Superman will finally hit the silver screen this March in Batman v Superman: Dawn of Justice! 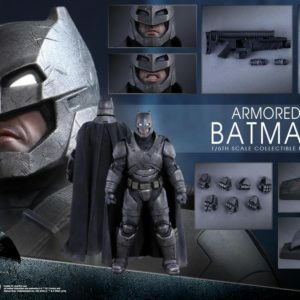 After witnessing the chaos Superman can brought upon Earth, Bruce Wayne is determined to stop the Kryptonian and donned his heavily armoured Batsuit to take on the powerful Superman in this “greatest gladiator match in the history of the world”! 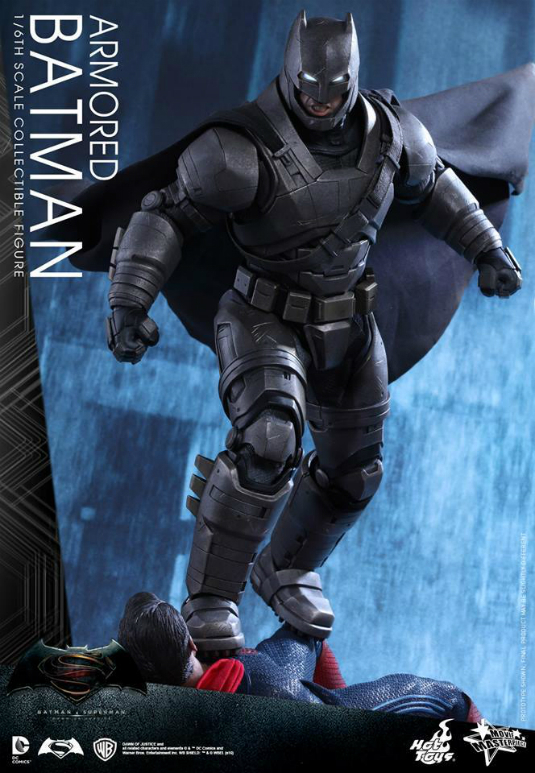 Following the official introduction of Batman and Superman, Hot Toys is very excited to present today, the 1/6th scale collectable figure of Armoured Batman! 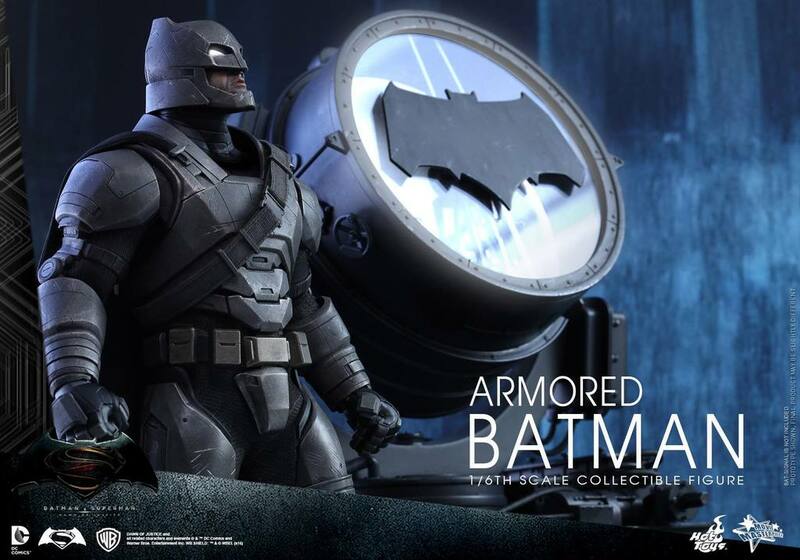 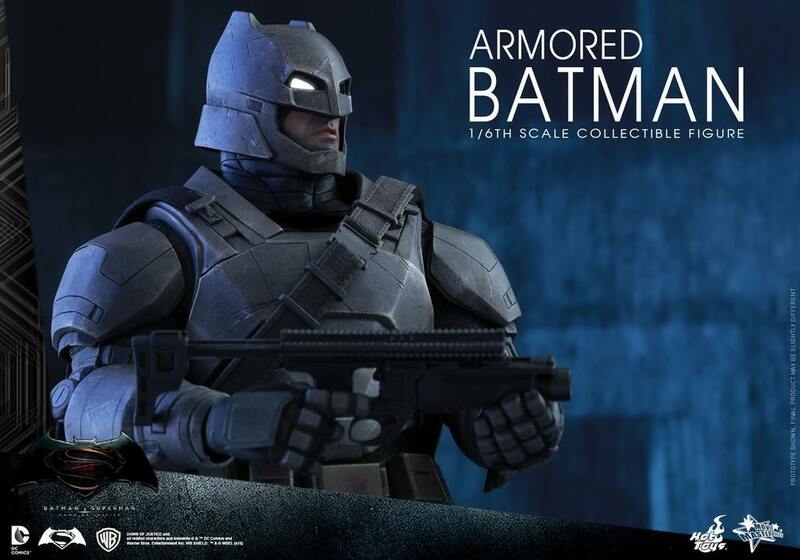 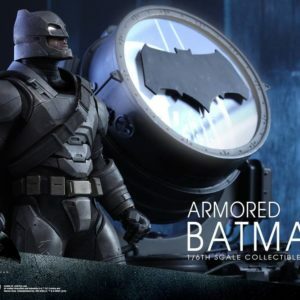 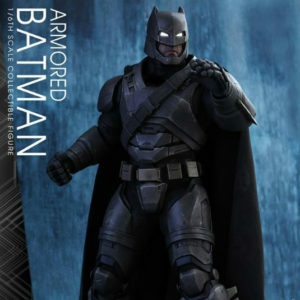 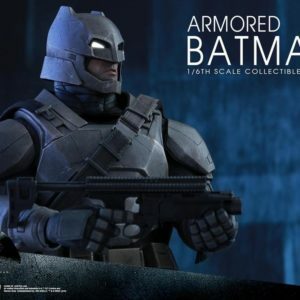 The movie-accurate collectable figure is specially crafted based on the image of Ben Affleck as Armoured Batman from the film. 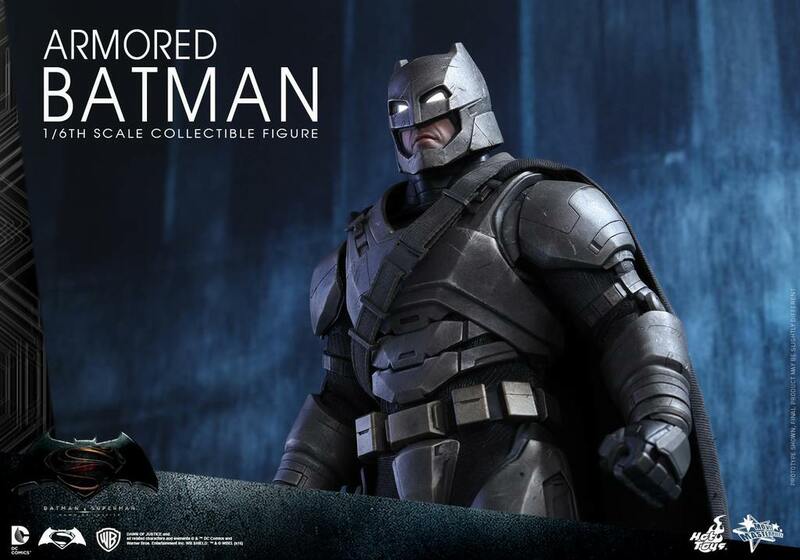 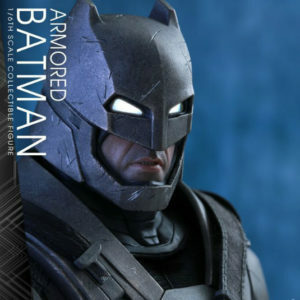 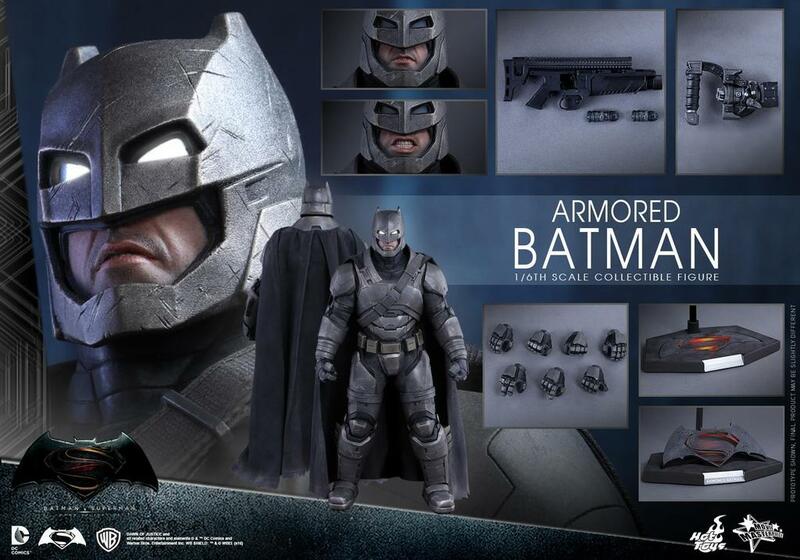 It features a newly developed armoured head with LED light-up eyes and two interchangeable lower faces capturing Ben Affleck’s facial expressions, meticulously crafted armour with weathering effects, detailed Batman weapons, and a specially designed Batman v Superman: Dawn of Justice themed figure stand. 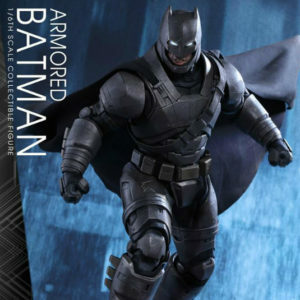 Don’t miss the opportunity to add this incredible Armoured Batman collectable figure to your Batman v Superman: Dawn of Justice collection! 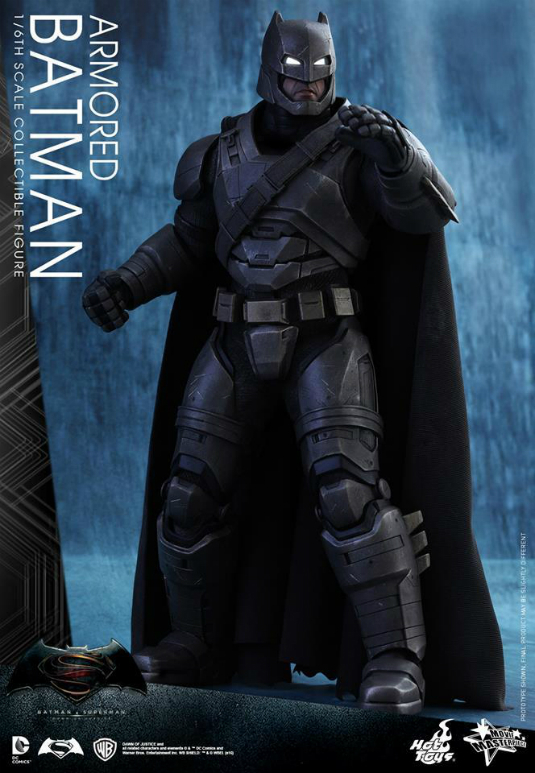 “This bat vigilante, he’s like a one man reign of terror.” Since the release of the latest trailer, fans around the world are getting even more excited to witness the epic show down between Batman and Superman in the upcoming Batman v Superman: Dawn of Justice debuting this month! 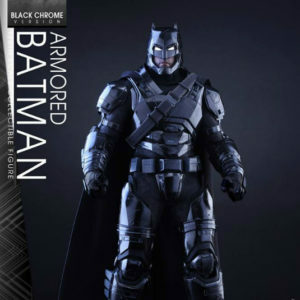 Today, Hot Toys is very excited to officially present a special black chrome coloured version of the Armoured Batman 1/6th scale collectable figure to celebrate the movie launch!